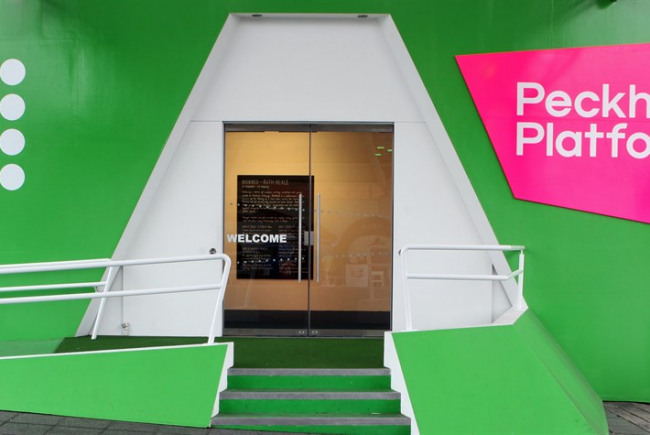 Future Platform will be a series of three pop-up events in an empty shop front adjacent to our gallery in 2015 that will respond to the Peckham Square Co-Design with architects MUF and Youth Platform. The project we propose will be called Future Platform and will be a series of three pop-up events in the empty shop front adjacent to our gallery at 91 Peckham High Street. Working with two primary project partners Southwark Council Development Team and Carl Turner Architects we will deliver three month-long events in 2015 that will directly respond to the Peckham Square Co-Design process. By April 2015 this co-design process will be complete with planning permissions being sought for a new design to this plot from Southwark Council. We will work closely with The Means, CASS Live Projects and MUF architects as delivery partners in order to create a dynamic series of pop up events. Each event will produce an architectural model to test the outcomes of the co-design process. The events will be conceived by MUF and produced with the members of our Youth Platform – our ambitious project to develop a core group of young advocates for the arts from our local community. This project is integral to Peckham Platform’s growth in 2015 and beyond. As a cultural provider on Peckham Square Peckham Platform needs Mayoral intervention in order to increase its resilience in the current rapidly changing economic environment. As a direct result of this project we anticipate 25% uplift to our audiences through increased footfall at 91 Peckham High Street and Peckham Square. This increase in audiences will enable Peckham Platform to firmly demonstrate its need and its capacity for growth and diversify its income. Peckham is at a crucial turning point in a long, fascinating yet troubled history of regeneration over the last 50 years and more. Now it is Peckham’s time to shine as a cultural hub and Peckham Platform is an essential part of that narrative of economic growth. This project will open up doors for Peckham Platform through the fact that it will demonstrate how vital it is that the gallery and its unique commissioning model expands and grows. This project provides excellent value for money as it has secured 33% in cash match funding prior to starting. That includes in cash funding of £5,000 from The Means and £5,000 from Wakefield & Tetley as detailed in the budget. However the financial impact of this project will have much further reaching implications than outlined in the immediate delivery, as it will be delivered as an integral element of Southwark Council’s wider development plans for Peckham. Peckham Platform is a visual arts organisation situated at the heart of Peckham Town Centre on Peckham High Street. We believe that there can be no art without people. Our location has been key to how we have engaged new audiences in meaningful cultural activity since we opened in 2010; an average of 11,000 visitors have come through our doors each year. Our vision is one of communities that inform and shape their engagement with their locality by working with contemporary artists. Over the last twelve months, the organisation has grown and developed enormously. We launched as an independent UK charity under a new name in January and became one of London’s newly appointed Arts Council England National Portfolio Organisations in July. Our Business Plan lays out our ambitions for the next three years – an expanded programme, increased learning resource and an enlarged footprint as the key cultural provider on Peckham Square. 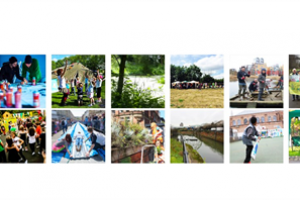 Project Delivery Manager: Peckham Platform The Project Delivery Manager takes legal responsibility for receiving and spending the funds raised and ensuring the project is delivered. Contractor: Peckham Platform The team responsible for building or installing the project.